Born in Hadley, Mass., in 1820, Levi Stockbridge was one of the first instructors at Massachusetts Agricultural College and President from 1879-1882. Known for his work on improving crop production and for developing fertilizers, Stockbridge was an important figure in the establishment of the college’s Experiment Station. After filling in as interim President of MAC in 1879, he was appointed president for two years, serving during a period of intense financial stress. After his retirement in 1882, he was named an honorary professor of agriculture. The Stockbridge Papers include correspondence, personal notebooks, travel diary, journal as a farmer (1842-1845), writings, lectures, notes on experiments, clippings, photocopies of personal and legal records, and biographical material, including reminiscences by Stockbridge’s daughter. Also contains auction records, notebook of Amherst, Massachusetts town records (1876-1890), and printed matter about Amherst and national elections, including some about his candidacy for Congress on Labor-Greenback party ticket 1880. Also contains papers (13 items) of Stockbridge’s son, Horace Edward Stockbridge (1857-1930), agricultural chemist and educator, including a letter (1885) from him to the elder Stockbridge, written from Japan while he was professor at Hokkaido University. Levi Stockbridge was born in Hadley, Massachusetts on March 13, 1820 to a well-known family of agriculturalists, lawyers, and educators. He attended local schools as a boy, and due largely to his own initiative and efforts, became a widely respected expert and pioneer in agriculture. He also had a reputation as a fine public speaker, a talent he cultivated at the local lyceum. Stockbridge came to Massachusetts Agricultural College (M.A.C.) in 1867 as an instructor in agricultural research. During his tenure as instructor and president of M.A.C. (1867-1882), he conducted many experiments and developed experimental methods and formulas on manuering, and chemical fertilization, which won him wide acclaim. Stockbridge was also a consumer advocate of the time, demanding that public trials of farm equipment take place on the grounds M. A. C.
Stockbridge enjoyed the respect and devotion of his students. He was firm and demanding with them, as demonstrated in his carefully kept attendance and labor records, as well as fair and compassionate, often loaning money to his students and even to the college during hard times. As a noted agriculturalist, he served on the Massachusetts Cattle Commission from 1869-1891, and on the State Board of Agriculture for 12 years. His work on the Cattle Commission dealt to a great extent with control of contagious diseases among cattle. Stockbridge participated in civic affairs and politics. A stalwart of the Grange, he was a leader in the cooperative movement. He served as a town selectman, town moderator, and assessor at various times for the town of Amherst, as well as a state legislator – elected to the House of Representatives in 1855, 1870, and 1883, and serving in the Senate from 1865 -1866. He was unsuccessful in a bid for a U.S. Congress seat on the 1880 Labor-Greenback party ticket. Stockbridge remained active lecturing and traveling until his death on May 2, 1904, at the age of 84. Correspondence, personal notebooks, travel diary, journal as a farmer (1842-1845), drafts of articles and reports, published writings, lecture notes, notes on experiments, clippings, photocopies of personal and legal records, and biographical material, including reminiscences by Stockbridge’s daughter; together with college rules and routines, review notes and examinations, committee notes, records of college finances, student attendance, student labor, payments to students, laboratory work, and work on buildings, auction records and assessor’s notes, notebook of Amherst, Massachusetts town records (1876-1890), and printed matter about Amherst and national elections including some about his candidacy for Congress on Labor-Greenback party ticket 1880; and papers (13 items) of Stockbridge’s son, Horace Edward Stockbridge (1857-1930), agricultural chemist and educator including letter (1885) from him to the elder Stockbridge, written from Japan while he was professor of chemistry and geology at Hokkaido University, handwritten recollections of Japan by his wife, Belle, and biographical material. Bulk comprised of manuscripts by Levi Stockbridge organized as follows: Public Lectures, School Lectures, Publications, Encyclopedia Articles, Reports and Petitions, Experiments, and Notes. Public Lectures are arranged in alphabetical order by title, one manuscript per folder, and include speeches, essays, and lectures delivered before various groups. Many of the dates and groups to which these lectures were delivered are unknown. The School Lectures were those addressed to his classes in 1868-1869. The Publications folder contains pamphlets reporting on Levi Stockbridge’s experiments and work. Drafts of encyclopedia articles are found in folder 31. Folder 32 contains reports and petitions to various governmental bodies. For reports of entire committees on which Stockbridge served, see Series III under Committee Records and Reports. Experiments and notations appear in folder 33. Featured here is his record of the plant, soil, and evaporation experiments of 1878. This is the subject of his 1879 publication, found in folder 30. The final folder of the series includes questions that were drafted for presentation to Dr. Bailey through the public press concerning tuberculosis. Includes M.A.C. Financial Records, Class Attendance Records, Class Labor Records, and Miscellaneous. Financial records of Stockbridge are handwritten in notebooks for the years 1867, 1869, and 1880. Folders 36-46 hold class attendance records and class labor records for the years 1870-1882, arranged in chronological order. The folder labeled Miscellaneous includes copies of exam questions, rules, work records, and other M.A.C. matters, arranged chronologically. Includes Auction Records, Biographical Information, Certificates, Clippings, Committee Records and Reports, Letters from Levi Stockbridge, Letters to Levi Stockbridge, Letters and Correspondence Concerning Stockbridge Family Lineage, Miscellaneous, Personal Notes, and Town Business. 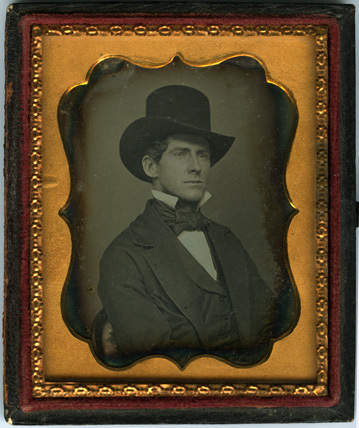 It should be noted here that photographs of Levi Stockbridge originally contained in this collection are located in the photo file of the University Archives. Biographical information includes diaries, tributes, and character sketches. A number of certificates included here document some of the varied activities of Stockbridge in public and private life. The Clippings contain references to the work of Levi Stockbridge, and references to his family. A notebook of selected clippings kept by Stockbridge himself is included. Folders designated Committee Reports and Records include notes, records, and printed reports from the committees on which Stockbridge served. These were produced from 1855 to 1893, with the bulk in the 1870s and 1880s. Letters, both to and from Levi Stockbridge, cover a variety of subjects — educational, agricultural and personal. Some are originals, some rough drafts, and some are copies. Folder 64 holds letters and notes to and from family members with regard to establishing a family tree. A letter from Samuel Wright Stockbridge to his father, written in 1822 is from an uncle of Levi Stockbridge’s. The Miscellaneous folder includes a deed, published essays by his son, Horace, a Grand Council code book, campaign handbills, and a Grange Store commemorative booklet, arranged in alphabetical order. Stockbridge kept a small notebook with an alphabetical listing of certain philosophical sayings and statements which he may have used in his writing or lecturing. Also, in this notebook (in folder 66) are some assessor’s notes. Folder 67 contains two notebooks filled with notations on various town matters for the years 1889 – 1890. Public Lecture – “Does Farming Pay? Tuttle, Anna Stockbridge to Rand, Prof. F.P. Acquired prior to 1972, for the most part, with no record of source; later additions from Stockbridge family via John M. Stockbridge (1977 and 1979) and from Mrs. John L. Blanchard (1962). Processed by Michael C. King, 1975. Cite as Levi Stockbridge Papers (RG 003/1/1880). Special Collections and University Archives, W.E.B. Du Bois Library, University of Massachusetts Amherst.